All litigation regarding an insurer’s bad faith necessarily involves other issues associated with the law of insurance contracts and insurance coverage. For example, an insurer’s bad-faith failure to settle under the common law may have its genesis in the insurance company’s decision not to provide a defense to an insured, the lack of defense resulting in a large judgment in excess of policy limits. With respect to statutory bad faith, issues may arise as to whether the insurer’s decision not to pay a property damage claim is caused by the insurer’s failure to conduct an adequate investigation. Finally, any time there is litigation involving any type of insurance policy, certain issues – like timely notice – might come into play. An insured’s failure to provide notice of a claim or of a lawsuit to its liability carrier can defeat coverage. The standard commercial general liability policy provides that “[i]f a claim is made or suit is brought against any insured,” the insured must notify the insurer “as soon as practicable.” Other policies might provide for “immediate” notice upon knowledge of a suit or claim. The Georgia Legislature has decreed that automobile liability policies shall require notice of a suit as well as delivery to the insurer of a copy of the summons and process. As suggested below, and as made more clear by a reading of the cases, different language in an insurance policy’s notice provision can lead to different results. 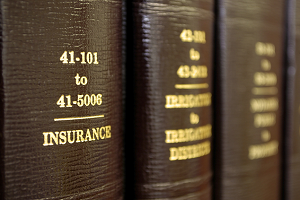 Accordingly, despite what courts before have decided, the insured’s duty of notice must be analyzed in relation to the specific policy language and the applicable facts. Where an insured has not demonstrated justification for failure to give notice according to the terms of the policy, and where the insurer has not waived compliance, the insurer is not obligated to provide a defense and coverage is void. In most cases involving an automobile liability policy, on the other hand, Georgia law requires the insurer to prove that late notice caused prejudice. 22 months – Aegis Security Ins. Co. v. Hiers, 211 Ga.App. 38 months – Brazil v. Government Employees Ins. Co.
70 months – Townsend v. Nat’l Union Fire Co.
25 years – Plantation Pipeline Co. v. Royal Indem. Co.